Union County, NJ – Union County Clerk Joanne Rajoppi alerted Union County residents and businesses to be aware of mortgage wire transfer fraud, a trending fraud victimizing prospective home owners, in which funds are steered from legitimate accounts to unauthorized ones. 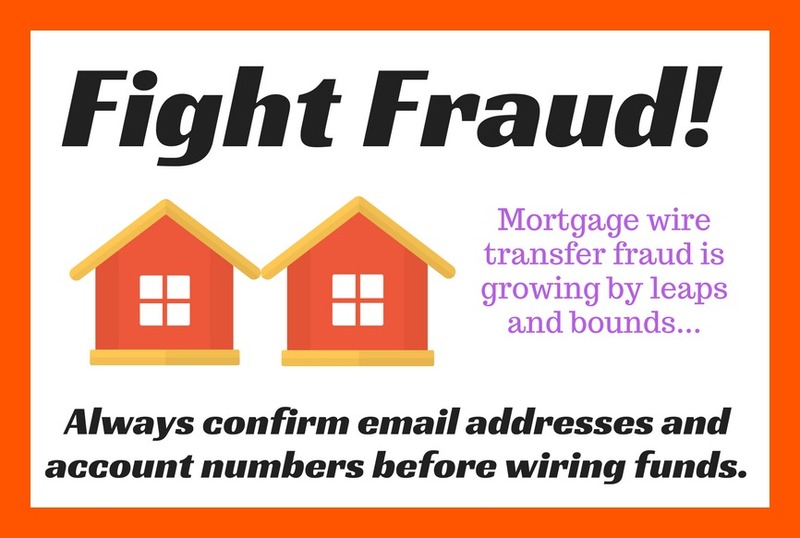 Mortgage wire transfer fraud falls into the FBI category of “Business Email Compromise” schemes, a category that has been growing by leaps and bounds. The impact of wire transfer fraud is significant. Since 2013, American home owners have been defrauded in an amount exceeding $748 million. The tactics can vary but the central theme is consistent. The fraudster, posing as the title company, notifies the buyer by email that there has been a change in the instructions for the wire transfer. Typically, the fraudulent email address closely mimics the address of the legitimate title company. Sometimes the only difference is one letter. If the unwary recipient complies with the instructions, the money ends up in a “staged” account – often an overseas one — set up by the fraudster. “There are endless variations to this scheme, so the best defense is to pick up the phone whenever you receive a notification regarding a wire transfer, and check with a reliable source to confirm that the instructions and account number are legitimate,” said Ms. Rajoppi. More details about Business Email Compromise fraud are available from the Federal Bureau of Investigation. For all County Clerk programs and services visit online, ucnj.org/county-clerk.